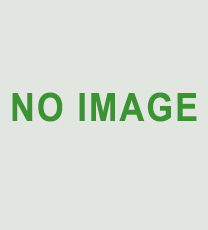 Dr. Philip Lewis is the Proprietor of Electro Mech Corporation (EMC). He is a qualified professional Mechanical Engineer from London University. He did his graduation from Imperial college of Science and Technology, London and also A.M.I. (Mech) Mechanical Engineering from London. He got his Doctorate from City University, Los Angeles, California. He started his career as an entrepreneur about 45 years ago by establishing a small scale industry to cater to the needs of industrial establishments in and around Bangalore. Today the same establishment comprises of 4 units in Rajajinagar and Peenya and has diversified into the processed Sea Food export market manufacturing - 'Surmi'. Dr. Lewis is a recipient of several awards including national award from Intervention Promotion Board, New Delhi for promoting Tension Gauges. 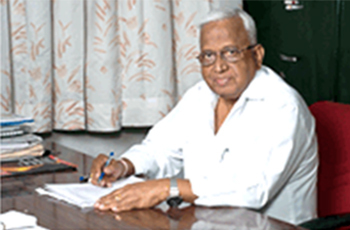 He has also held several positions such as All India President, National Alliance of Young Entrepreneurs (NAYE), New Delhi; President, Karnataka Small Scale Industries Association (Kessia), Bangalore-1983 and President, Federation of Karnataka Chambers of Commerce & Industry (FKCCI) 1992. Dr. Philip Lewis has served on various boards in the capacity of Director, President, Trustee and Committee Member. To name a few, National President, Federation of Indian Small & Medium Enterprises, Director – Industrial Co-Op. Bank etc. Mr. J.A. Martins is a Fellow Member of the Institute of Chartered Accountants of India (F.C.A.) and of the Institute of Company Secretaries of India (F.C.S.). His professional expertise spans over 30 years. Mr. Martins heads the audit firm, J.A. Martins & Co. that specialises in rending services to developmental agencies, educational institutions, non-governmental institutions and companies. The specialization is in matters relating to audit and assurance, compliances under the Foreign Contribution (Regulation) Act and Income Tax Act, capacity building, financial accomplishment services, and strengthening of local institutions through design of financial systems and their implementation. He also offers his services as a resource person to the Institute of Chartered Accountants of India, international agencies and national organizations with regard to Financial and Legal Framework applicable to Non-Governmental Organizations and Governance thereof. The firm provides audit and assurance services to several prominent national and international organizations in India. 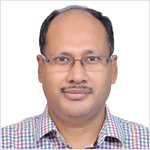 He has authored the book titled “Legal and Accounting Framework – Guidelines for Charitable Societies and Not for Profit Organizations including FCRA”, which has been greatly appreciated by the development sector. Providing dynamic and strategic leadership, Ms. Makhijani has served as ChildFund India’s Country Director and CEO for over three years. She holds a Master’s degree in Business Administration from London University, pursued Excellence in Leadership course from Harvard University, and has pursued many other leadership courses in UK. 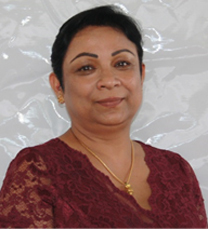 Prior to joining ChildFund India, Ms. Makhijani led a global organisation based in the UK, Resource Alliance. Neelam has worked in the UK for more than 14 years with major organisations such as Help-Age and Oxfam GB. As a thought leader and expert communicator, Ms. Makhijani has been invited to speak at various forums, conferences and panels in over 30 countries. Ms. Makhijani is passionate about fundraising and inspiring change for maximum impact. Within just couple of years, she has revitalized ChildFund India’s core operations by strengthening the organization’s ability to fulfil its mandate to children throughout India. She has also spearheaded the organization collaborations with some of the most notable corporates in India. Ms. Makhijani has been instrumental in extending ChildFund’s reach in India and strengthening its foundations for its long-term future development. Under her leadership, ChildFund India has taken a new direction and is moving forward with clear vision, strategy and renewed spirit. As a Country Director of ChildFund Cambodia, Mr. Prashant Verma is providing leadership and management support to the organization, and works closely with the International Program Director and other senior managers and the Sydney-based International Program Coordinator to lead and manage ChildFund’s operation in Cambodia. Mr. Verma has about 25 years of rich field experience in more than eleven countries in Africa (East, Central and West) and South-East Asia Regions with leading international organizations on Senior Management positions and has led large teams on Child Rights, WASH, Livelihoods Security, Education, Community Health & Nutrition and HIV & AIDS sectors. 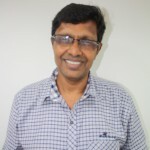 He has a proven expertise on facilitation of change-management-processes, securing large grants, developing innovative program design, internalizing partnership, right-based-approach, result-based M & E systems, galvanizing advocacy and delivery of most effective and efficient programs using updated theories of change. He was identified for a Senior Leadership High Talent discourse and rated as an Outstanding Performer. A recipient of two International Awards and honoured with Post-Graduate qualifications in the fields of Business Administration, Public Health Administration, Development Economics and Management Certificate from renowned Indian and British Universities. 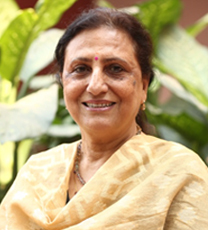 Dr. Nirja Mattoo is a development professional with over 30 years of experience in managing projects on social entrepreneurship, livelihood, education, health, and corporate social responsibility with national and international NGOs. Currently, she is working at S.P. Jain Institute of Management and Research, a premiere business school in Asia, as Chairperson for the Centre for Development of Corporate Citizenship (DOCC) with an objective to sensitize management students influencing practice and promoting value based growth; provide management inputs to the social sector; and create awareness amongst businesses for social responsiveness. She has scaled up DOCC program through strategizing system and processes, building partnership with NGOs and Corporates across geographies. 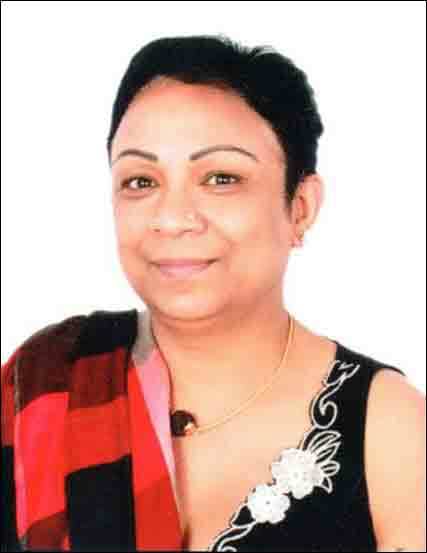 Dr. Nirja Mattoo has a Master’s degree in Social Sciences and PhD in “Role of Women in Managing Development Programs of Panchayat Raj Institution in Maharashtra” from University of Mumbai. She has received various recognitions including Team MBA Award U.S.
Mr. James Tuite was appointed in September 2006 as the Chief Financial and Administrative Officer (CFAO) at ChildFund International. He is responsible globally for the finance, accounting, assurance, treasury, legal, office administration and human resources of this $240 million organization with offices in 25 countries around the world. Previously, he worked at the Population Council for 12 years as the Chief Financial Officer and Secretary-Treasurer. Prior to joining the Council, Mr. Tuite traveled extensively with the overseas programs of Save the Children as an Auditor/Operations Analyst for over 3 years. 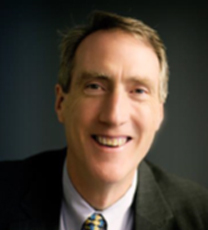 He is a Certified Public Accountant and worked for the Boston Office of Coopers and Lybrand. He also worked as a volunteer in Korea. He speaks fluent Korean. Mr. Tuite is a member of the American Institute of Certified Public Accountants and former Chairman of the Board of InsideNGO. He holds an undergraduate degree in Accounting from Northeastern University in Boston and an MA in International Educational Development from Teachers College, Columbia University. 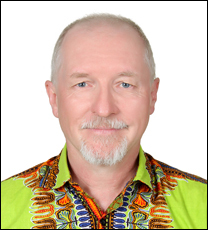 In his almost 30 years of professional career in development, Mr. Roland Angerer has worked in all continents. Starting with advocacy and development education in his home country Austria, he later joined the UNDP in El Salvador and Honduras and then switched to Africa where he coordinated the programs of an Austrian NGO in Zimbabwe and Mozambique. 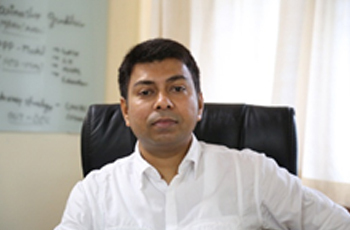 In 2001, he joined Plan International as Country Director in Colombia and from 2006 - 2010, he headed the country operations of Plan International in India. From August 2010 to December 2013 he served as Regional Director in the Americas and from January 2014 to May 2018 he was responsible for the operations of Plan in 12 countries as Regional Director for Eastern and Southern Africa. Since June 2018, he is the Regional Director for ChildFund International in Asia, based in Bangkok. His academic background – a PhD in Communication Science from the University of Salzburg/Austria and a Masters in Development Management from the Open University/UK – helped him to understand that development is a constant process of evolving attitudes, mindsets and choices for people and requires a continuous and firm rejection of all forms of injustice and discrimination.